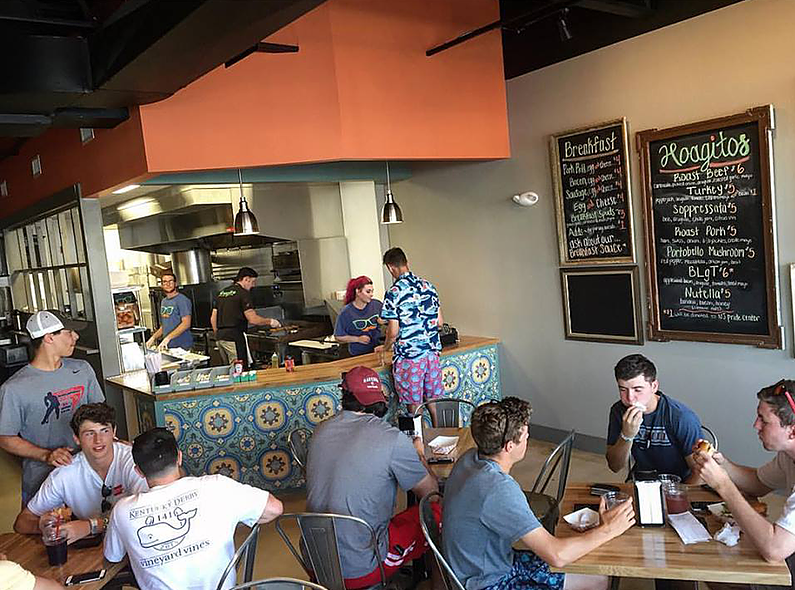 The popular Asbury Park Boardwalk summer eatery Hoagitos will celebrate opening its second location in Belmar Plaza Saturday. 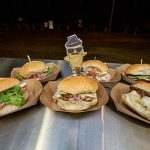 Known for its gourmet take of traditional sandwiches in mini form, Hoagitos has been in operation for three years at the end of Third Avenue boardwalk entrance. Owners Terence McGill, Mark and Emma Spagnuolo [and their new addition to the family] will host a grand opening complete with the ceremonial ribbon cutting, live music, free fries, food specials and gift card giveaways, according to a news release. 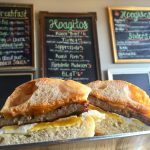 Hoagitos menu features their home roasted meats: brisket, chicken, roast beef, turkey, and sopressata are paired with fresh ingredients and their mayo blends – basil, creole, cilantro lime or roasted garlic. The Belmar location is open daily from 8 a.m. to 8 p.m. and features not only their breakfast creations but also hot Hoagitos, grilled chicken sliders, salads, soups, fries and other sides, as well as combo meals. The Belmar Hoagitos is located at 807 Belmar Plaza. For more information visit www.hoagitos.com, and for catering or pickup orders call Asbury Park: 732-361-5454 or Belmar: 732-556-6617.